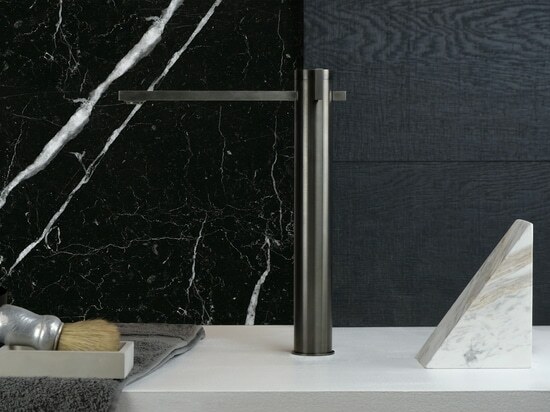 The need of today's consumer is to live in spaces that are suited to his lifestyle, in line with his desires; environments with a current mood that respond to each other, creating harmony. 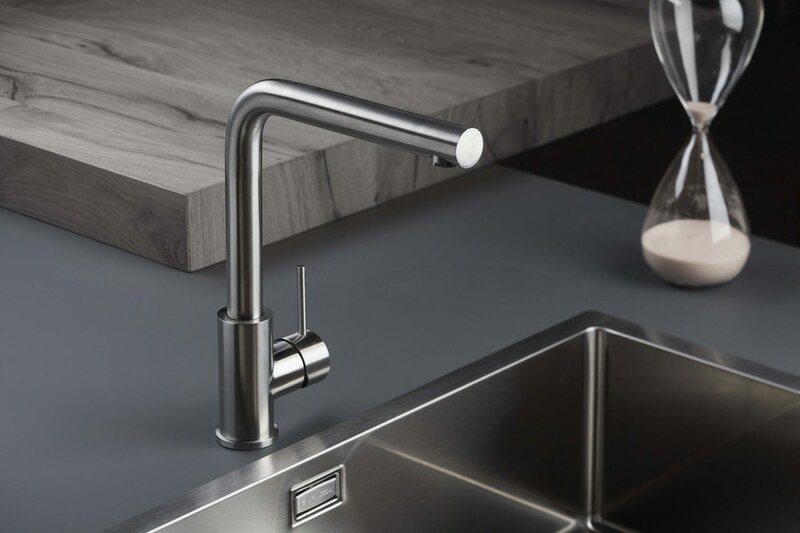 With the complete restyling of the Ritmonio Kitchen collection, also the kitchen taps become the protagonist. 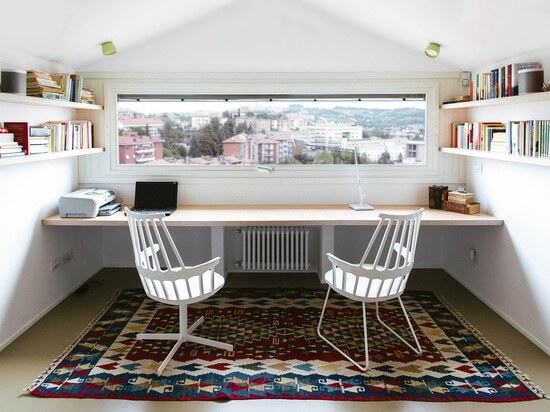 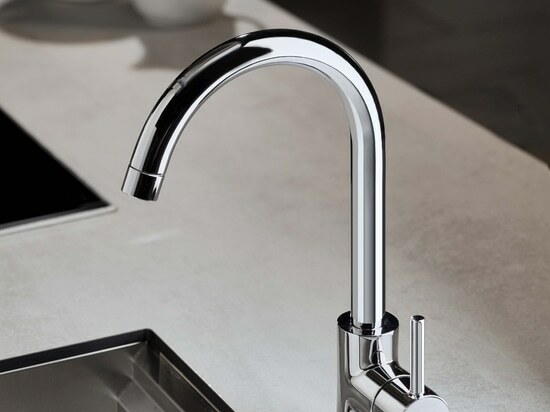 Thirteen new products have been designed, seeking a perfect balance between the quality of the materials, the most advanced technologies in the sector and the attention to design and ergonomics, which have always characterized the work of the Company. 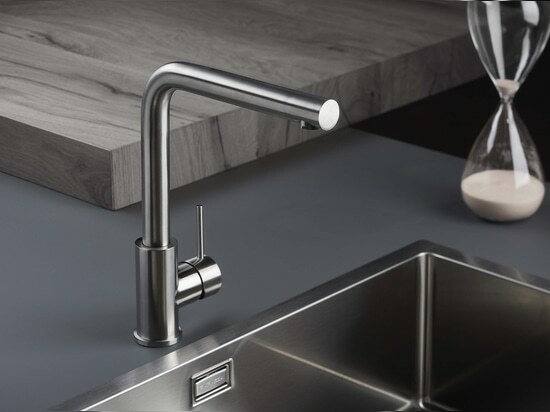 -	Diametro 35 Cucina, a classic evergreen that incorporates all the pluses of Ritmonio taps: six different models are available in chrome and brushed chrome finish. 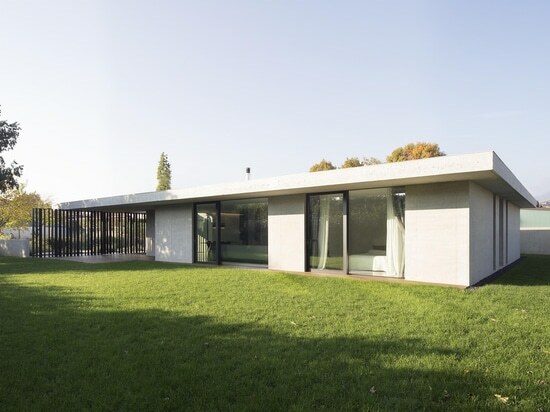 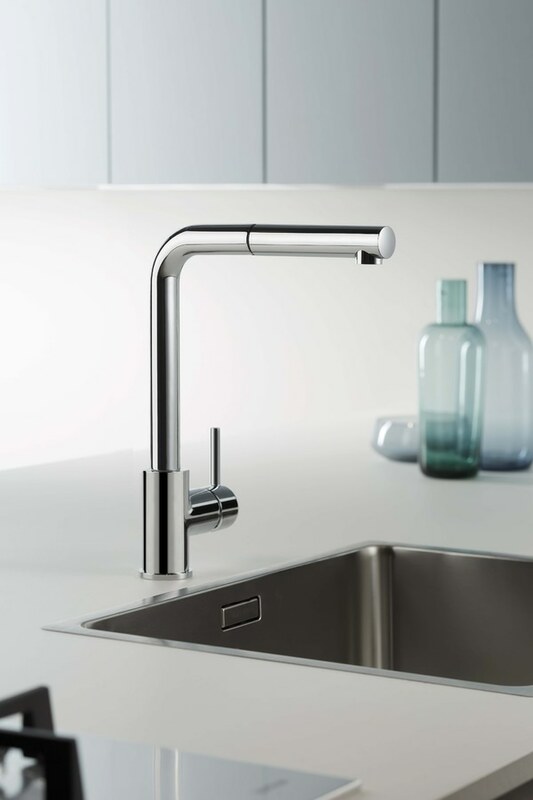 Among these, in particular the model equipped with a function that makes the tap moving up and down, this model is particularly suitable for installation under windows or in contexts with a small space available. 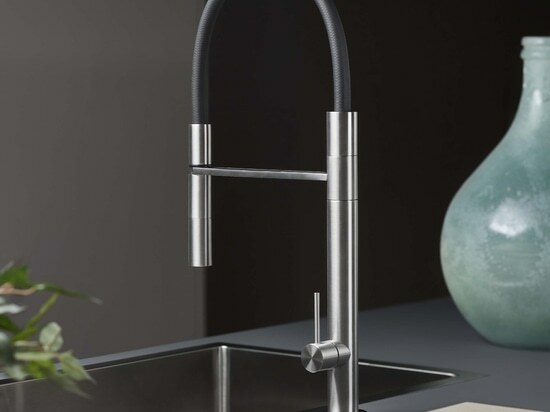 -	Diametro 35 Cucina Inox: four models in stainless steel. 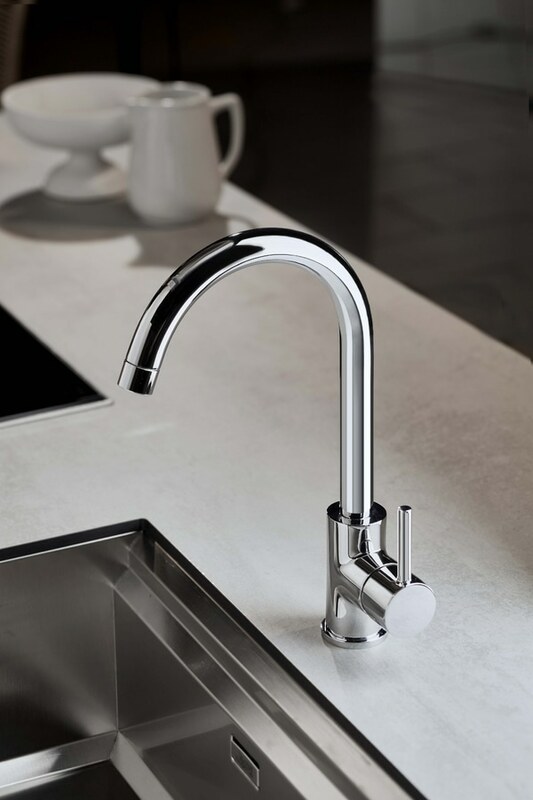 One of these features a black flexible hose that, given its size, is well suited to large and spacious environments. 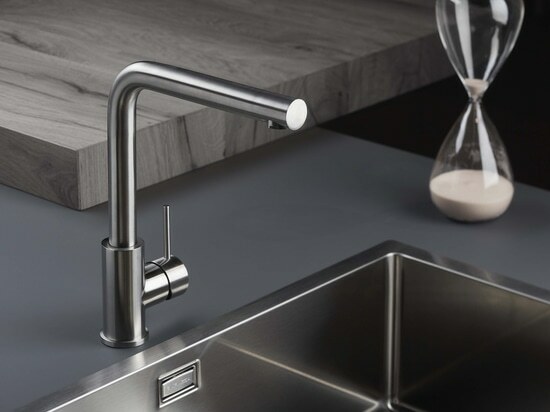 -	Reverso Cucina, with three proposals, which stand out for being versatile and polyhedric, suitable for those looking for housing solutions with a design of contemporary appeal and that last over time. 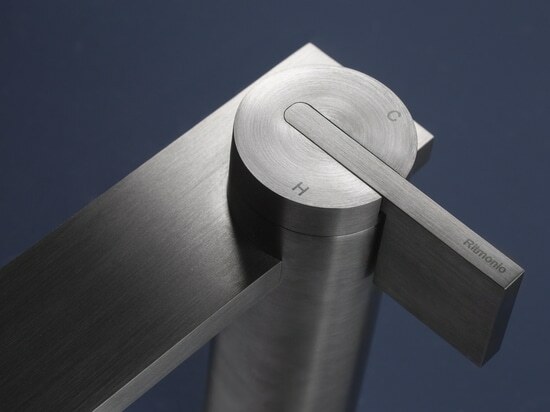 They are available in chrome and brushed chrome. 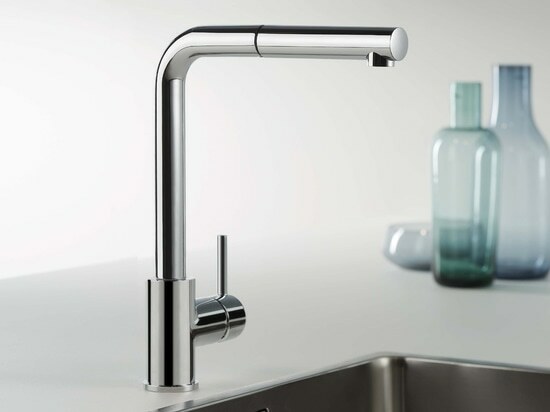 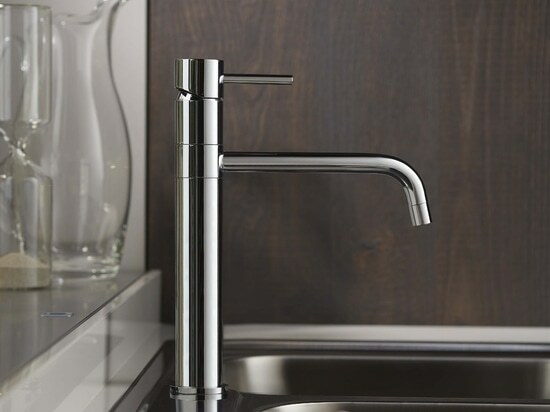 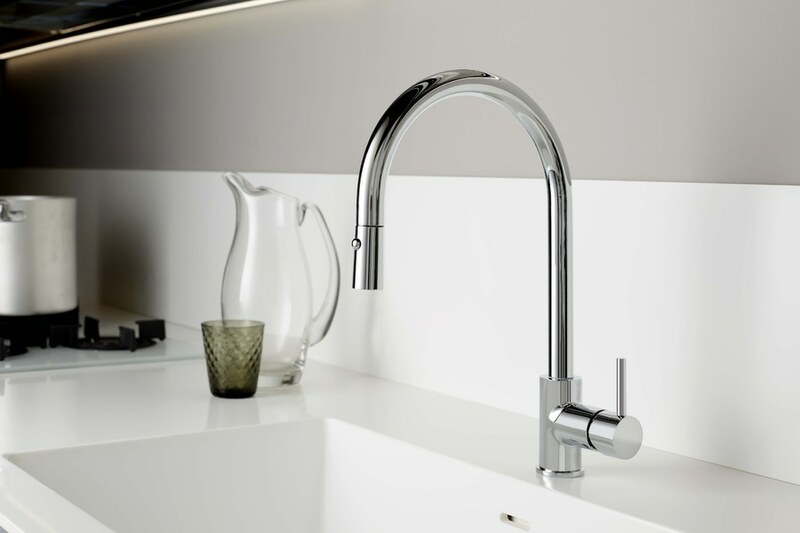 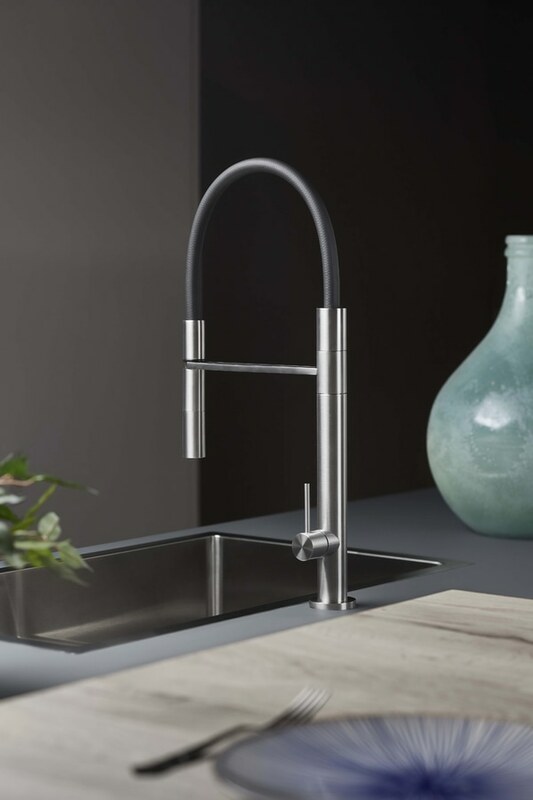 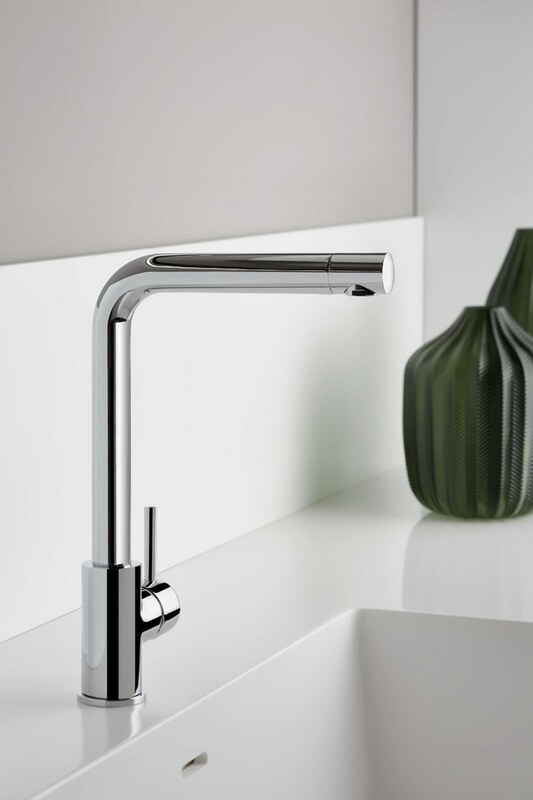 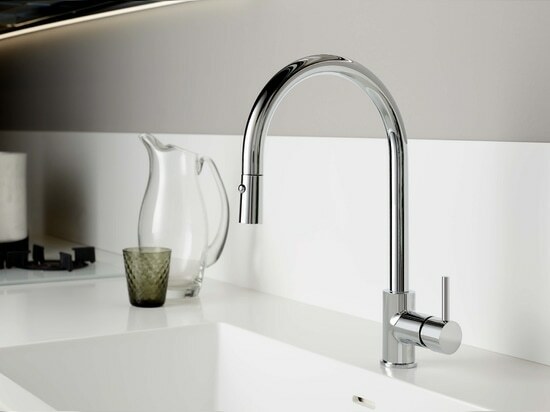 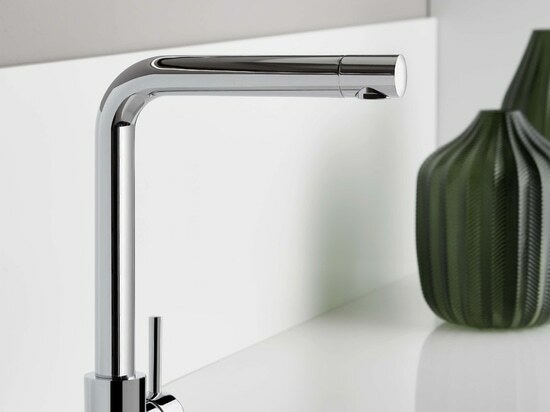 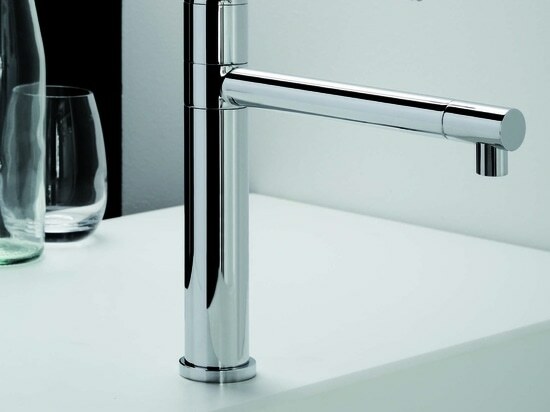 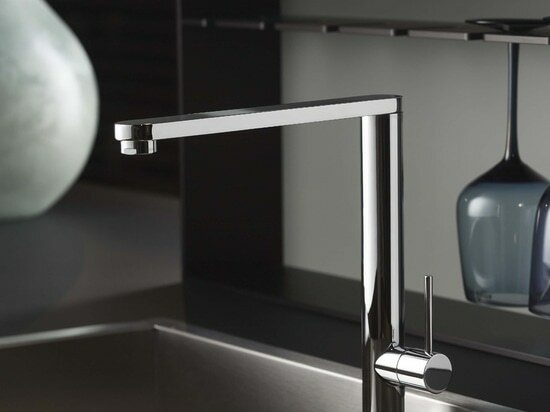 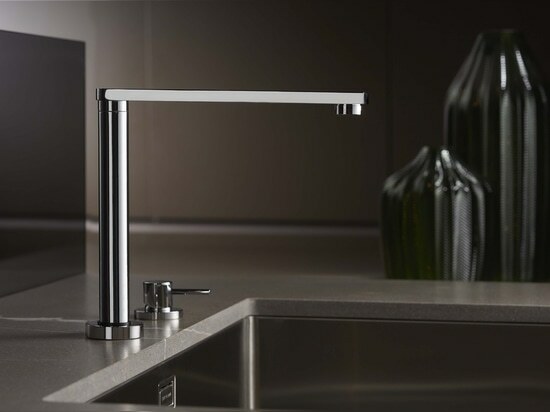 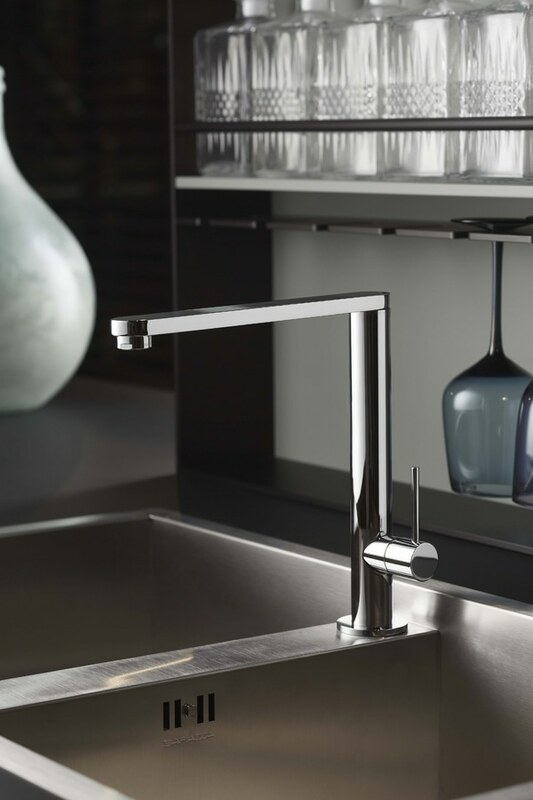 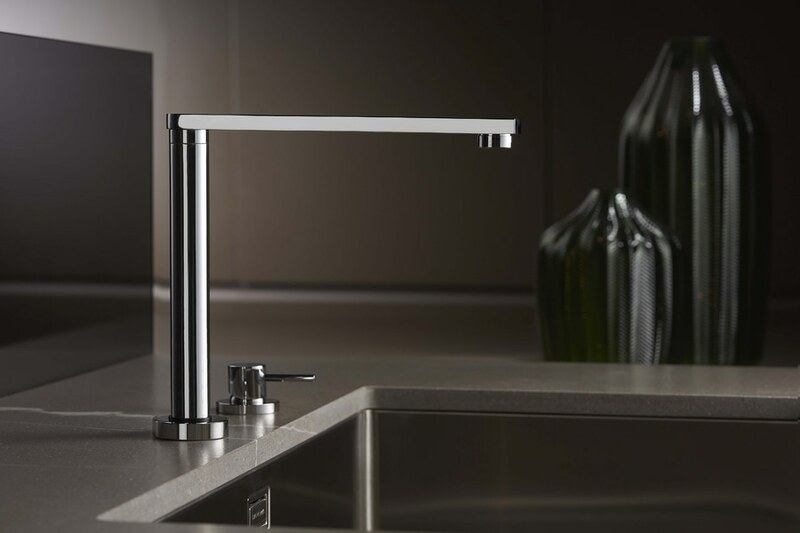 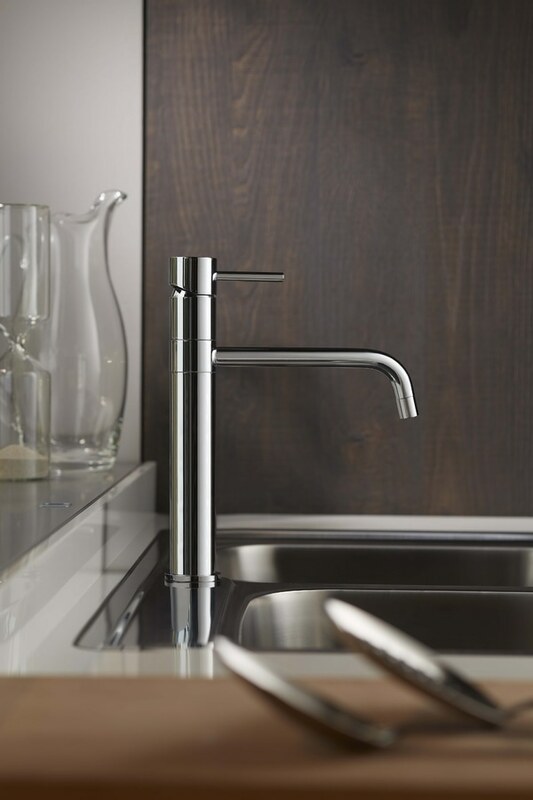 Special features, reliable performance and sophisticated aesthetic details add a touch of style to the kitchen, for a possible "perfect match" with the bathroom taps. 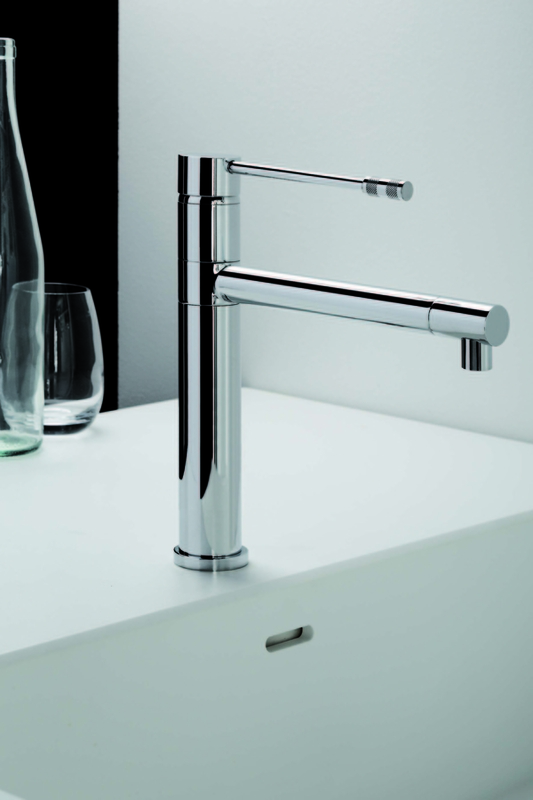 Choosing your favorite combinations, mixing the different collections or opting for linearity, will allow everyone to express their personality and style, creating "tailor-made" places, where they can finally recognize themselves, transforming every experience of use into a unique experience of wellness at home.